Many articles share ideas on using social media in teaching and learning. 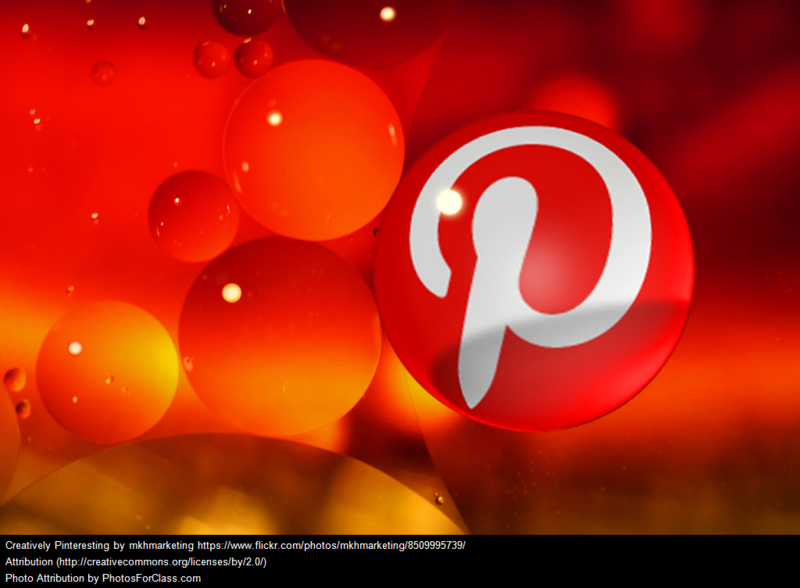 Usually, articles such as these focus on the use of blogs, wikis, and twitter, so I was particularly interested to come across an article on the use of Pinterest in the classroom. Pinterest is an online tool that allows users to create online pin boards. 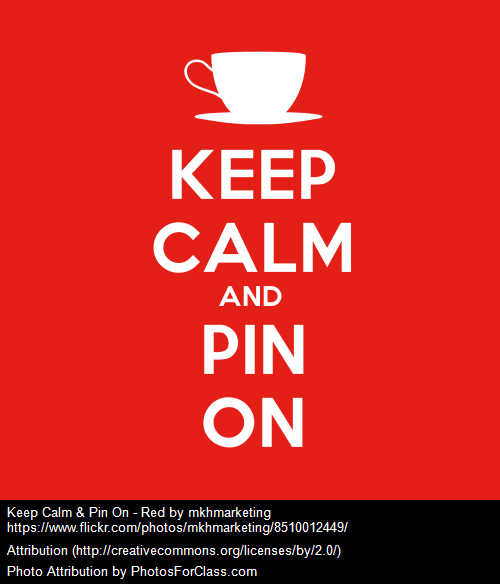 Blog posts, photos, posters and more can be “pinned”, shared and followed. 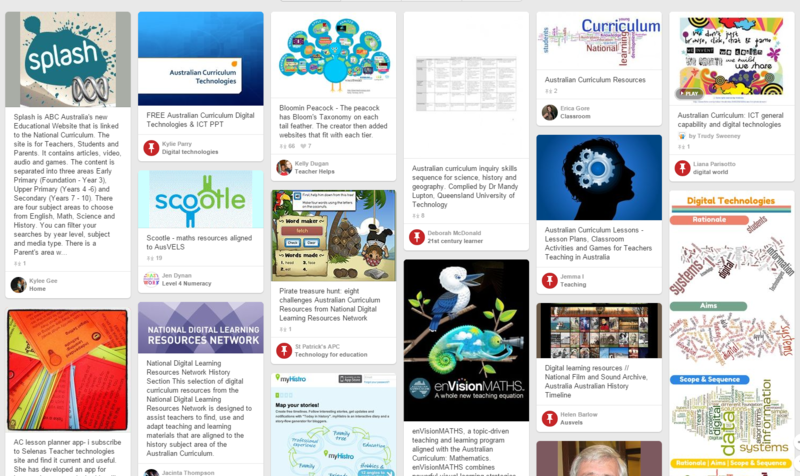 As a casual user of Pinterest, collating ideas for the home and resources to support my hobbies, I had not considered the value of Pinterest in the classroom or workplace until quite recently when I attended the CSER Digital Technologies MOOC delivered by CSER at the University of Adelaide. One of the learning activities involved searching for resources by using search terms such as AusVELS + Digital Technologies, and here I discovered a wealth of resources and infographics at my fingertip, as well as connections with other educators across the globe. Whilst I realised Pinterest would be a great tool for teachers to curate curriculum resources, I hadn’t considered the use of it for students…until I came across this article by Global Digital Citizen Foundation, which dot points 16 ideas for fostering Student Learning on Pinterest. As with any online activity, teachers considering using Pinterest in the classroom should be mindful that they have a have a duty of care to Create clear processes and practices to manage online behaviour. Posting and sharing information online about a person other than yourself online or in any other way requires consent. Consent must be fully informed, freely given, current and specific in how the information will be presented and to whom it will be presented. Schools will require signed authority for any work, images or information posted online. School should understand that while consent can be freely given, it can also be withdrawn at any time. The school would then be required to remove the content/resource immediately. The following information provided by DET Legal division may further assist in highlighting some of the issues for schools to consider when contemplating uses of online services https://edugate.eduweb.vic.gov.au/Services/legal/Information%20Sheets%20%20Documents/Information%20Sheet%20-%20Online%20Services.pdf (requires edumail login).